July is the perfect time for a family road trip, don’t you think? By now, most kids have been out of school for at least a couple of weeks. They’re probably a bit restless and ready for a grand adventure. I have such fond memories of all the road trips I took as a kid. We stopped at the coolest places along the way and had some incredible family moments that you just can’t get when you fly to your destination. There are so many possibilities when it comes to a family road trip. From local destinations to cross-country adventures, just about anything goes! Not sure where you want to go? Here are three great Canadian adventure ideas from our friends at Church & Dwight to get your mind wandering and maybe inspire your next trip! Tofino, British Columbia. Looking for something truly picturesque? 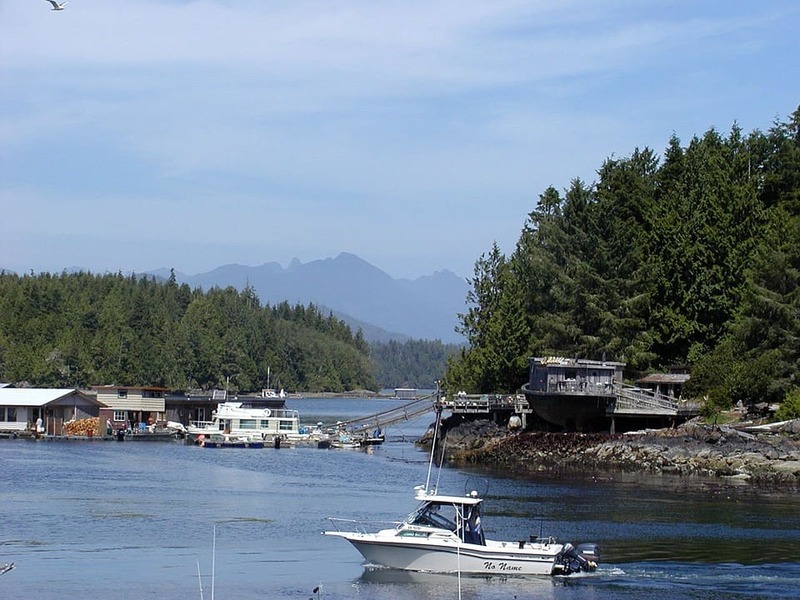 Head to Canada’s surf capital – Tofino. Get your family on a ferry from Vancouver to Nanaimo and drive along the Pacific Rim Highway for a truly breathtaking view of mountains and lakes, along with rainforest. The area is also known for its trees, which grow in spectacular sizes. Some trees are believed to be 1000 years old. Haliburton, Ontario. Truly the quintessential summer escape from the big city, you’ll practically feel the stress lifting as you start driving into cottage country. There are several scenic route options, dotted with great ice cream parlours along the way, which all lead to good times ahead. Whether you stay for the day or rent a cottage, you’ll want to make sure you stop at Webers in Orillia, a Canadian burger landmark since 1963. Quebec City, Quebec. Whatever direction you’re coming in from, stop in a few francophone villages on your way into the old city to soak up the culture, food and French! Making your way through the beautiful and lush countryside, you’ll be thrilled to arrive at your final destination: old Quebec City, a city full of history, architecture, cobble stone streets and endless charm. Before you head out on a great adventure, make sure you’re well prepared, especially when kids are involved – we’re hoping for less “are we there yet?” and more “wow, this is amazing!” You’ll always want to pack things like a GPS system, snacks, sunscreen, and sun protection, first aid supplies and good music! To get you ready for your family adventure this summer, here are some very practical products to put in your travel toolkit. GRAVOL™ Natural Source™ Ginger Lozenges – curb motion sickness for you and your kids (over the age of six) with these chewable lozenges – convenient, portable and no water required! GRAVOLTM Kids Quick Dissolve Chewables are a great option for your little ones two years and over! 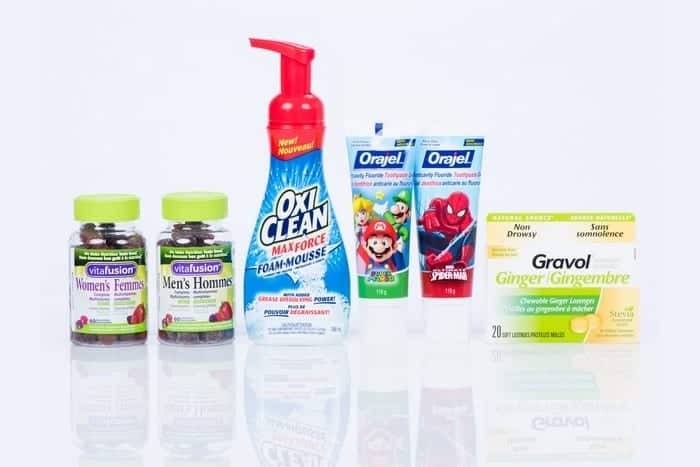 (GRAVOLTM Kids Quick Dissolve Chewables are not included in giveaway). OxiClean™ Foam Pretreat – spills and stains are bound to happen on road trips, treat them the day they happen and then throw the item in the wash a few days later when you make it to your destination! ORAJEL™ Anticavity Fluoride Toothpaste 119g, in either Super Mario™ or The Ultimate Spider-ManTM or My Little Pony™ – with road trips come snacks and fast food so ensuring your little ones are brushing is of the utmost importance. Vitafusion™ Women’s and Men’s Complete Multivitamins – are geared towards providing essential nutrients specifically needed by men and women to maintain their health, in a tasty gummy that you can take without water, perfect for on-the-go! We have a great family road trip essentials giveaway for you! Enter below for a chance to win all those great must-have items! Approximate retail value of the giveaway is $50. Giveaway is open to Canadian residents age of majority, void where prohibited. It ends on August 8th, 2016. GIVEAWAY ENDED AND CONGRATS TO Amy C.
Let us know what your favourite place is to road trip in Canada! This post is brought to you by Church & Dwight. All opinions are our own. So far my favourite place to road trip in Canada is from house to Whistler, BC. But one day I really want to do the east coast – I think Quebec to PEI would be lovely! It’s on our vacation bucket list, aiming to do it in the next few years once our youngest is a bit older. My favourite is Niagara Falls, Ontario. There’s so much to see and do for the whole family! We like to go to provincial and national parks. We like to go to Niagara-on-the-lake. My favorite road trip is to see the kids….ones moving back home in a few days but I really liked the last trip I took to see her…I hopped onto a grey hound bus and relaxed (4 people in the bus). She showed me the sites and then drove me back home!! I also like going to see my son. The last time I went was via plane as the drive is well over 14hrs long and something I just am not confident I can do on my own. He was just here and headed back on Friday (with his gf) and they switched off so got home at 3am!! 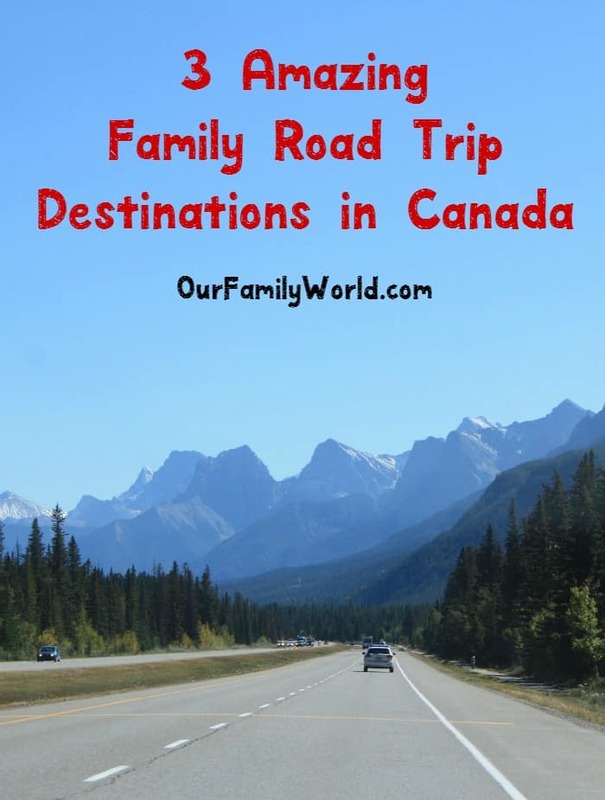 I always enjoyed our road trip to Banff when we lived in Calgary- beautiful scenery and so much to do! Haliburton is a great destination. I enjoy any place I can kayak. I love going to Banff! I love road tripping in Northern Ontario. we go to Calgary and Banff would be a favorite one. I love the Okanagan! I would love to be going there this summer. I love a trip to Cape Breton Island to drive the Cabot Trail!! I love to road trip around our province of NL! My favourite place to road trip to is Vancouver. I love doing a road trip to Newfoundland. So much beautiful scenery traveling down east. Newfoundland is my favourite place to road trip in Canada! My favourite place to road trip is Alberta into BC. I love to travel to the Muskoka’s every summer and winter. Road trips are definitely always fun. I imagine Canada is chock full of great places to go! I can’t wait to see more of Canada! I’ve only been to Toronto and Montreal. I live in New England so it’s not too far of a drive to explore more! Fantastic giveaway too! I would love to go to Canada someday. Quebec is probably my first choice. It sounds like a lovely place. I hope to visit sometime soon. I haven’t been to Canada but I would love to one day. It looks like a beautiful place to visit. My husband and I really want to visit Canada some day soon. These look like awesome spots! I love road trips with my family every 15th of the month. Quebec City is on my bucket list – hopefully a trip next year will happen. That’s a nice giveaway for our Canadian friends.. Quebec has never failed me with beautiful sights and places from all the corners that I’ve looked and stayed at. I’ve always wanted to go to Ontario! Road trip is always fun with the family especially now that my girls are a bit older, they would appreciate the scenic routes more. Thanks for the tips and the guide as well! Looks so pretty! I’d love to visit Quebec, though I speak zero French. The old world charm is something I totally dig when I go on vacays. No wonder I’m crazy for Europe! I’d love to road trip to Toronto and Quebec City. Great suggestion for what to pack. It’s smart to be prepared for a road trip, otherwise you end up stopping too many times. I would love to get back to Montreal one day. It’s about a 7 hr drive from us, so it’s very doable. A road trip to Hopewell Rocks in New Brunswick or Cape Split and/or Blomidon in Nova Scotia are really nice to see. I love a road trip to Banff and the Rocky Mountains, they’re spectacular. Love a road trip to Quebec City. Prince Edward Island is my absolute Faourite. 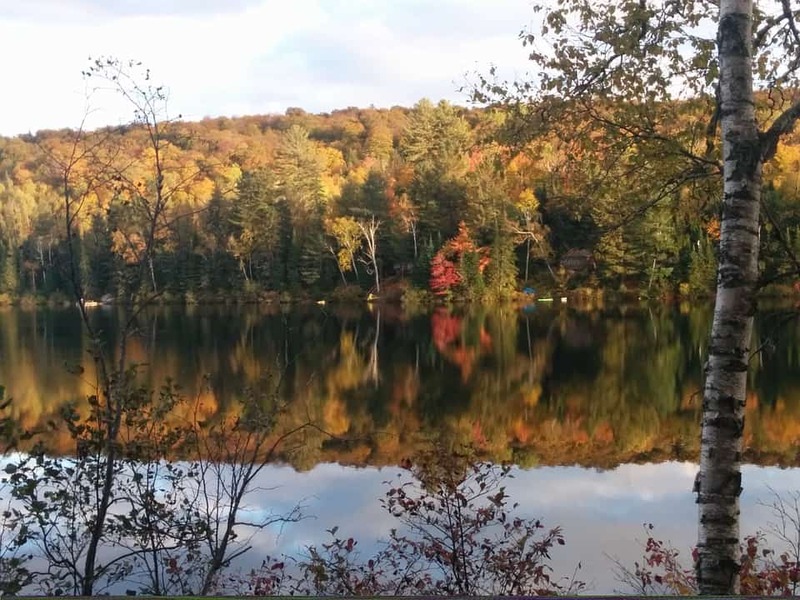 I love to road trip up through the Muskoka area of Ontario, so pretty! I like to road trip to the St. Jacob’s area in Ontario. I did a road trip from Ontario to Nova Scotia and it was amazing.